Nancy, a young medical student, is being seen in the office. She is on the pill for contraception and cycle control as her periods were very heavy. The level of bleeding each month is much reduced and she no longer needs iron supplements to maintain a normal hemoglobin. She is concerned however as she experiences menstrual migraines each month on the second day of her hormone-free interval. She is wondering about continuous use of the pill so that she can avoid her periods and hopes this would help her avoid her debilitating headaches. Nancy can consult her pharmacist to review which pill she is on and if there is an option for ongoing use. She may also want to review the treatment options for migraine headaches, especially those that can be used early in the headache cycle and/or those that can be used prophylactically to prevent this cyclic headache. 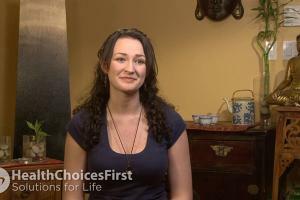 Nancy could benefit from seeing her family physician about the long term safety of the birth control pill. She may also benefit from seeing her pharmacist about over-the-counter options for pain relief with regards to her headaches. It may also be wise to make sure she isn't experiencing tension headaches or neck-related headaches by seeing either a massage therapist or a physiotherapist. The Pill as a Contraceptive ChoiceDr. Vivien Brown, MDCM, CCFP, FCFP, NCMP, discusses the Pill as a contraceptive choice. Family medicine is a specialty that focuses on comprehensive primary care of people of all ages. Along with treating your symptoms and conditions, a family doctor can help educate patients on birth control options and prescribe contraceptives. A Registered Massage Therapist is a health care professional who specializes in helping patients reduce pain, relax and achieve optimal health. Seeing an RMT can help patients dealing with headaches which may be linked with taking contraceptives. A yoga instructor is an individual who has completed qualifications and certification and can help people who have migraine headaches. A physiotherapist is a health care provider who uses non-invasive techniques to prevent and treat injury or dysfunction. A physiotherapist can help treat women who are dealing with issues related to their cycle, such as headaches which may be a side effect from the pill. Family medicine is a specialty that focuses on comprehensive primary care of people of all ages. Your family doctor can help educate you on the risks of taking the pill, and can prescribe contraceptives. A registered dietitian (RD) has completed education and training to specialize in a wide variety of fields, including sport nutrition, gerontological nutrition, pediatric nutrition and renal nutrition. 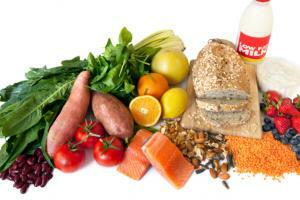 A dietitian can help you modify your diet to address symptoms such as headaches. What Are the Non-Contraceptive Benefits of the Pill? 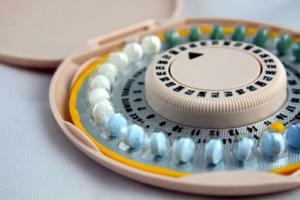 Can Birth Control Pills Influence Your Success with Weight Loss? Conversation based on: What Are the Non-Contraceptive Benefits of the Pill? " Nancy a young medical student "
In a recent conversation with friends we ended up talking about the pill and non contraceptive benefits. Two of them were over 45 and taking a low dose birth control pill to deal with irregular cycles and heavy flow. Reply to: What Are the Non-Contraceptive Benefits of the Pill? " Nancy a young medical student "
I would be interested to hear a women's health specialist chime in on this. I was told by my physician that she would not put me on the birth control pill due to my age (approaching 40). I also received the same advice from a gynaecologist, and both professionals recommended the Mirena IUD instead to deal with cycle control and flow. I used to take the pill for benefits aside from just contraceptive - cycle regulating and hormone imbalances. Now that I'm in my 40's I find that my cycle has finally self regulated without taking the pill. Are there any risks to continuous hormone use that stops periods? Or conversely, are there health benefits to menstruating, that you would lose if you stopped it completely? There are certain types of contraceptive pills that are made to take continuously so as to avoid having a period. I have never heard that they come with any more risks than other types of contraceptive pills. Great question. I was told that it was not a good idea to continuously take birth control pills to prevent menstrual periods. However, that was a long time ago and recent medical research may prove a different response. An alternate solution would be something like a Mirena IUD which emits small amounts of hormones continuously, thereby preventing her from having these migraine cycles. Peppermint oil on the temples really helps me with my menstrual headaches. T brown there are blends for pain which definitely help. Peppermint is part of that as well as a few others. Are there other oils that help with other menstrual symptoms? I found that once I cut back significantly on wheat, my periods became much easier ie: not as much fatigue and cramping. I'm wondering if it would help even more if I cut back on sugar too. Cutting back on anything known to cause inflammation in the body might be helpful for heavy periods. 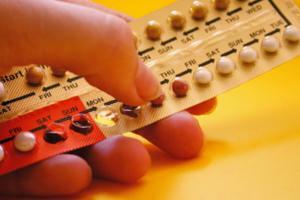 Contraceptives are not recommended over the age of 35 as they can have health risks. Is there something else woman over 35 can do to relieve menstrual migraines and other symptoms ? IUDs are a great solution. I am over 35 and I have a low dose IUD. I was told that I can use it right through until menopause (replacing it every 5 years). It is a wonderful contraceptive and I don't experience any menstrual symptoms at all. I wonder if fish oils could help women over 35 with period symptoms. @shirley, I believe acupuncture and limiting refined sugar can help with the hormonal changes relating to menstrual migraines. What is the primary cause of menstrual migraines ? Yes! what is the physiological reason that migraines are associated with cycles. I have heard of migraines going away in menopause, but that's a long time for a 35yrold to wait! Good question! I would like to know the answer too. Nancy may want to look at a hormonal IUD. It would provide the benefit of a light/non-existent period without having to remember to take pills. What are the risks and / or side effects of using a hormonal IUD ? 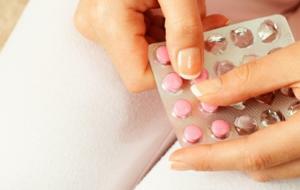 One of the non-contraceptive benefit of birth control pill is to treat severe acne. When I was a teenager, a low dose contraceptive pill helped with my cystic acne. As a teenager, I took a birth control pill for acne. I am not sure if it is still used. Isn't there a birth control pill now they advertise as being for acne treatment? I am sure I have heard of this. Yes, in my case, severe cystic acne was definitely hormonal-related. Later in life, I was diagnosed with polycystic ovary syndrome. @yuan I have heard of this. I guess it makes sense since isn't acne affected by hormones? Interesting health talk! I was unaware of the non-contraceptive benefits of the pill besides avoiding pregnancy and reducing menstrual symptoms. I have heard great things about massage therapy and yoga for additional relief. @stravers82, is the massage therapy focused on specific areas when helping with heavier menstrual symptoms? or is it a whole body approach? I go for frequent massages during heavier menstrual cycles and it helps a great deal. I found that cutting back on refined sugars helped me with my premenstrual symptoms. Some women have reported relief from headaches with botox injections. @carrle, I completely agree. As a dietitian, I talk about sugar reduction for so many different conditions and symptoms. Less is definitely better when it comes to sugar. It seems everywhere I look, cutting out sugar helps lessen symptoms. I am starting to feel like cutting out sugar is just the right thing to do. It is clear our bodies (whether it is diabetes, or knee pain, joint pain, menstrual issues) do not love sugar. Does anyone know if the injectable birth control methods would eliminate menstrual headaches? It's my understanding that you don't get a period when you have this type of birth control. As a 40yr old, Mother of two - I was having very heavy periods that were causing a lot of pain. My Ob-gyn was not interested in doing the injectable birth control method, I believe he was worried about hormone levels. But no, you shouldn't get your period with this type of birth control. @Chantal, I'm not aware of injectable birth control methods. What have you heard about them? I have often heard of the benefits of menstrual symptoms from massage therapy, it has helped with headaches and cramps. Does anyone else have a story of how massage has helped with their menstrual cycles? I have not heard of the benefits of massage therapy on menstrual symptoms, but would be very interested to hear anecdotal evidence of this! Also, may I ask what pill Nancy is on? I had problems with migraines while on Alesse. I switched to Seasonale and my cycle is less heavy therefore making the migraines less often. Yes this is true, the level of Estrogen can effect things like headaches and dizziness, nausea. And a persons' tolerance changes over time so the birth control pill you start on may not be the right one down the road.